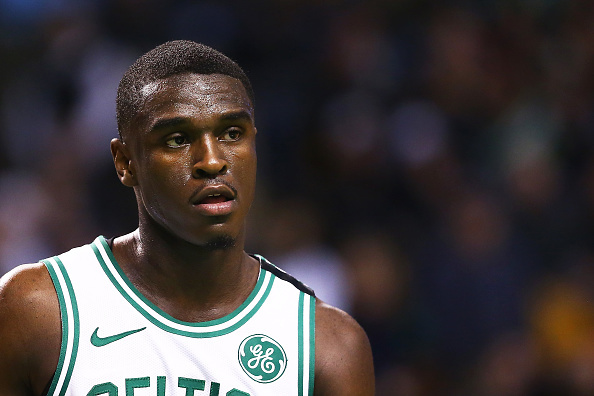 NBA's Jabari Bird appeared in court Wednesday to face new charges that he threatened to murder his GF multiple times during a violent altercation back in September. As we previously reported ... Bird allegedly brutalized his GF at his Massachusetts apartment during a Sept. 7 incident -- allegedly choking and terrorizing her for hours. Officials say Jabari roughed her up badly ... and she was only able to escape after Bird appeared to be having "seizure-like" symptoms during the end of the attack. Jabari was arrested for assault and battery, strangulation and kidnapping ... and later pled not guilty to the charges in court. On Wednesday, prosecutors tacked on TWO additional charges -- threats and witness intimidation -- alleging in court docs Bird told his GF he was going to MURDER her during the altercation. "If you don’t stop talking I’m going to kill you," the victim alleges Bird said, according to court docs. She added that Jabari also said while kicking her, “Tell anyone about this, I don’t care where you are, I’ll find you and I’ll kill you." Bird appeared in Brighton Municipal Court Wednesday to face the new charges ... and once again pled not guilty. Jabari is due back in court next month.